This system was visited for the first time on EDSM by Titus Balls. 82 ships passed through Synuefe RT-Z c16-13 space, including 1 ship in the last 7 days. 0 ship passed through Synuefe RT-Z c16-13 space in the last 24 hours. 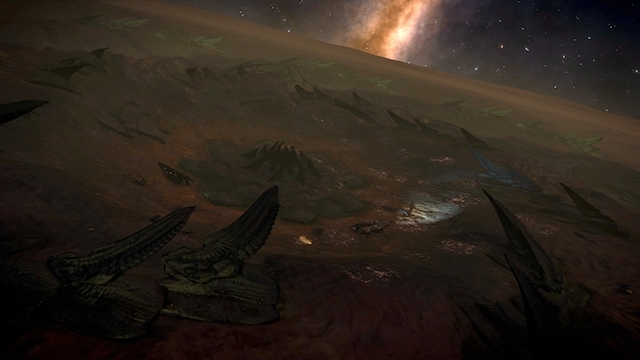 During June 3303 a large number of unknown structures of Thargoid origin were discovered on planets in the vicinity of the Pleiades cluster. These structures are many hundreds of metres in diameter, and consist of a number of organic-shaped elements surrounding a central edifice. 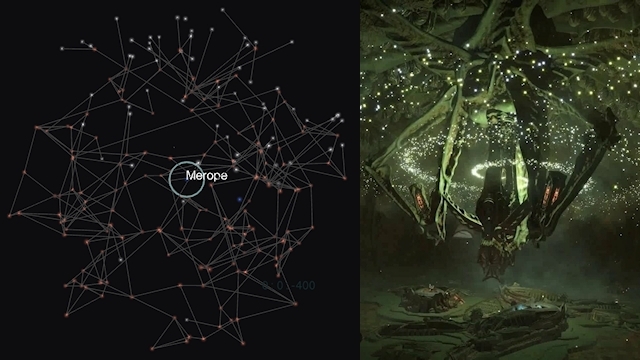 There is a clear visual relationship between the structures and the Thargoid vessels previously sighted. This structure is part of a larger network of sites, perhabs centered on Merope in the Pleiades cluster, and apparently connected via alien machinery. This particular site marks the eastern limit of sites found to this date.